Offering you a complete choice of products which include calcium & calcitriol capsules, pre & pro biotic capsules and acebrophylline capsules. 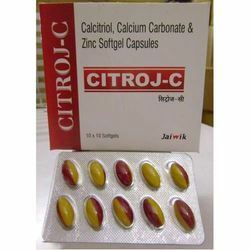 We are engaged in offering to the client’s excellent quality Calcium & Calcitriol Capsules. The offered capsules are processed by making use of the best quality ingredients by our pharmaceutical experts keeping in mind the set medical norms. Our capsules are used to manage low blood calcium levels in patients who are on chronic kidney dialysis. Furthermore, these capsules are made obtainable in various packaging options as per the demands of our patrons. With the support of our adroit professionals, we are actively highly effective Pre & Pro Biotic Capsules. These capsules are used to prevent diarrhea, gas, and cramping caused b. The offered capsules are expertly processed utilizing optimum quality ingredients’ and progressive techniques following the medical norms. We offer these capsules with quality packing at affordable rates in a confine time. 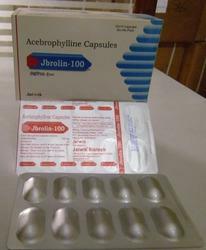 We are counted amongst the prominent companies, engaged in offering excellent quality Acebrophylline Capsules. This acebrophylline capsule is indicated for asthma, bronchitis and other respiratory conditions. 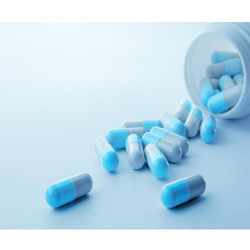 The offered acebrophylline capsule is processed utilizing optimum quality ingredients and advance methodology in line with the set medical norms. Our acebrophylline capsule is used to treat blockages of the airways occurring as a result of asthma or other lung diseases including bronchitis or emphysema.